Elegant, earthy simplicity from this beautifully understated Mission-style desk lamp. 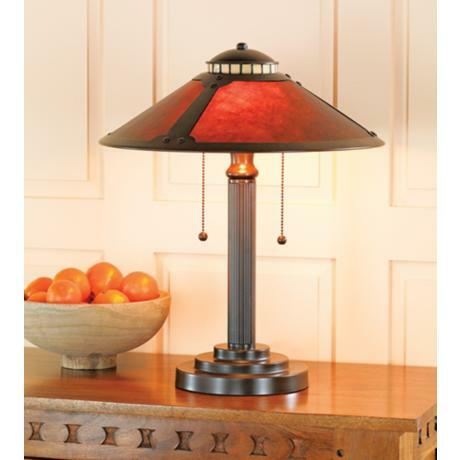 This desk lamp features a natural mica shade that glows with a warm, inviting style. Slight variations due to the natural tone and pattern of the mineral make each shade unique. Twin light pulls balance the design. • Natural mica elements make each piece different and unique. • Uses two 40 watt bulbs (not included). • Shade is 15" wide.